Description: Paint the town red! (And blue, green, yellow, purple, pink, black…) this April Fool's Day! 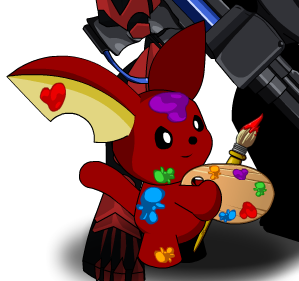 Show those bland corporate suits that they can't take away AQW's color! This item is a parody of the famous painter Pablo Picasso.